We Couldn't Believe It Either: Downton Abbey Gets New Characters! Get ready for the onslaught. 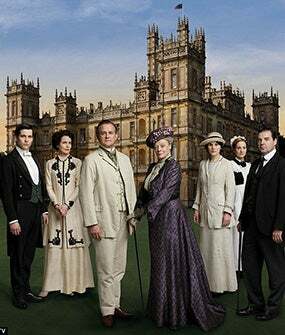 There are going to be new characters in series four of Downton Abbey! And breathe. After series three’s cliffhanger ending, many of us were in a quandary about what would happen to the embattled Crawley family (Lady Mary has gone through rather a lot). But, things might be looking up. Rumours are swirling that three new characters are going to be introduced to series four, due to start filming March 23. In casting notes released earlier this month, we learn there will be a character called Jack Ross, a black musician who sings brilliantly and works in an exclusive nightclub. Then, there is Lord Anthony Gillingham, a man with unwavering morals and a cut-glass accent (potential love match for Lady Mary there) and finally, a cad called Sir John Bullock.